Her Majesty The Queen was joined by HRH The Duchess of Cambridge to open the newly refurbished Bush House buildings at King’s College London. 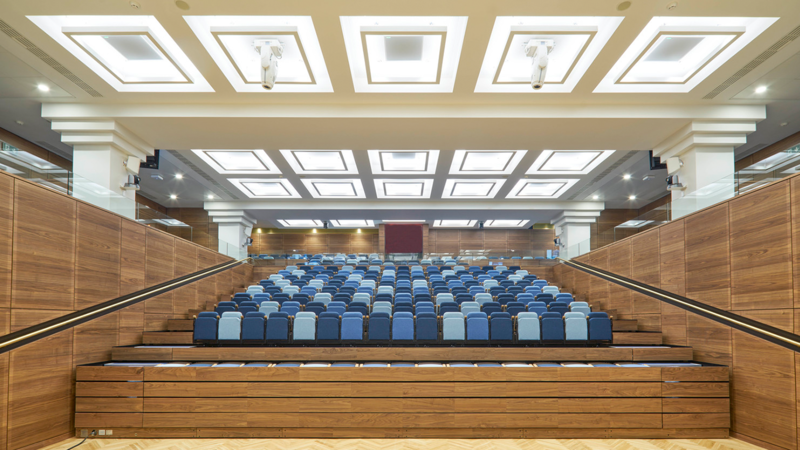 The Bush House buildings, on King's College London's Strand Campus, have been refurbished to include lecture theatres, student spaces, teaching rooms and an auditorium. The Queen is Patron of King’s College London. Her Majesty The Queen and HRH The Duchess of Cambridge take in the views from the roof terrace at Bush House. The interior fit out of the multi-phase project was undertaken by Overbury, working alongside John Robertson Architects, LTS Architects, Hilson Moran Partnership, Gardiner & Theobald, and Lend Lease. “It was a privilege to meet Her Majesty The Queen and The Duchess of Cambridge this morning,” said Neil Fernandez, Project Manager at Overbury. Over the course of two years, a total of four phases of fit out works were completed by Overbury.